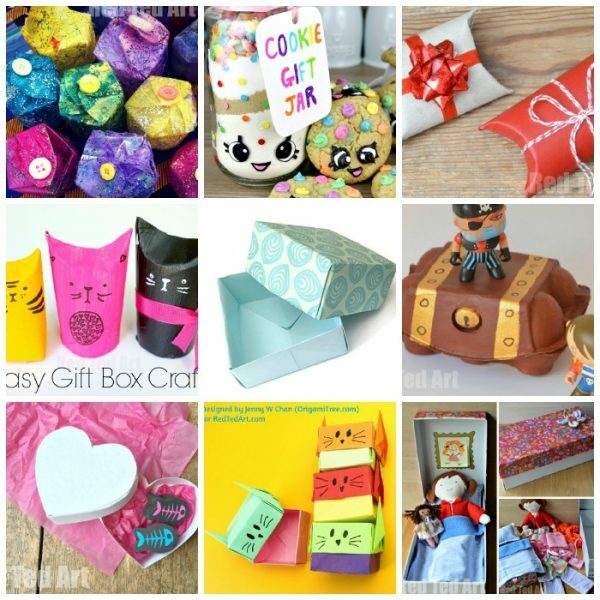 Looking for a quick and easy gift box idea for Easter? 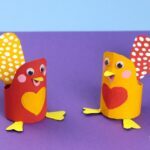 Look no further… these Toilet Paper Roll Chicken Boxes.. or Cardboard Tube Chickens.. are super duper quick and easy to make. 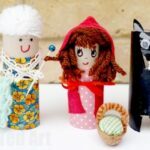 We adore Toilet Paper Roll Crafts for Kids. Today’s TP Roll Chicks are “no mess” as you do not need to paint them first.. and look simply adorable. 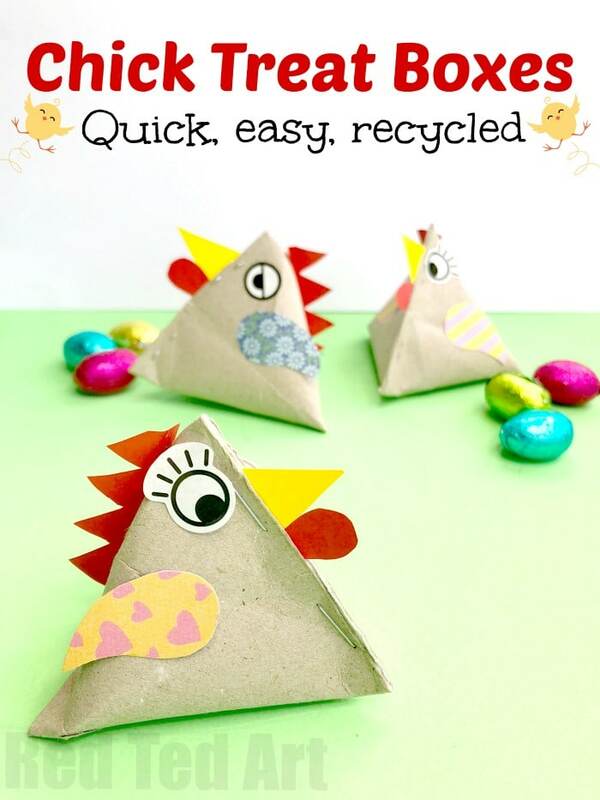 Fill them with Mini Easter Eggs for an Easter Egg Hunt, an Easter Party or for classroom Easter gifts. Quick. Easy. Fun!! And also recycled. Love. 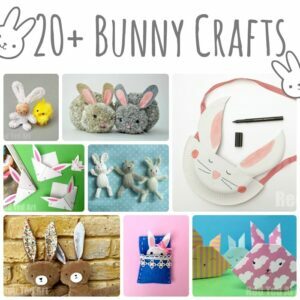 We have lots more Easter Chick Crafts and Bunny Crafts for you to browse! Affiliate links have been added for your convenience, should you choose to buy through these links, I will earn a small comission towards the upkeep of this site! 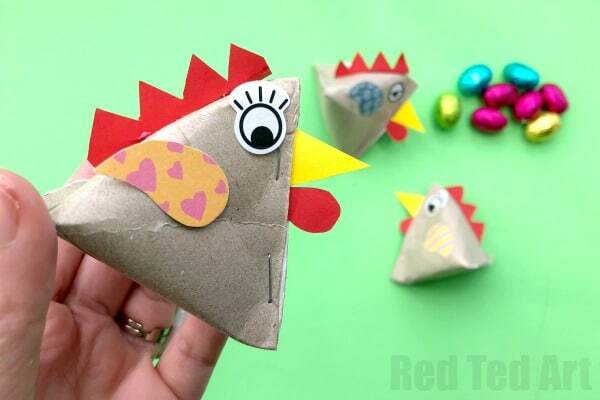 Those familiar with Red Ted Art crafts, will notice that these cardboard treat boxes are indeed based on the Pyramid Chicken Bean Bags we have made many times before. The pyramid shape is easy to achieve and just so clever! Once again, you have the choice of watching my step by step Pyramid Gift Box video, or follow the written instructions below!! 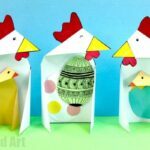 These Chicken Gift Boxes are super duper quick to make, no mess and I think are just the cutest! Flatten your Toilet Paper Roll/ Cardboard Tube and Cut make a piece as long as it is wide (so effectively it will look like a flattened square). It has to be square, or else it will be hard to get the “twist” into your pyramid. 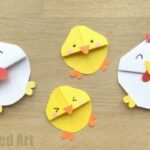 Cut out your Chicken Gift Box shapes. 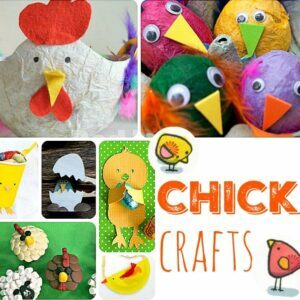 You will need 2 wings, a triangular beak, a wattle (tear shape) and a zig zag chicken’s comb with a 2mm edge for gluing. Take the stapled end. Twist 90 degrees and flatten the other end of the tube. 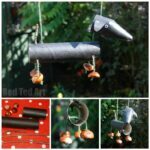 If you need to see the steps for this with photos – take a look at the fabric Pyramid Chicken Bean Bags version of these!! 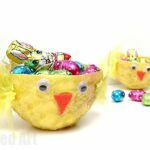 Add your chocolate mini eggs (or whatever other treats/ small gifts you would like to put inside your chicken gift box). Before you staple the second side shut, insert the beak and wattle and then staple. 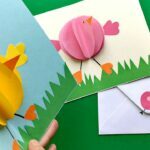 Fold over the 2mm strip on the comb of your paper chicken features and glue to the back. Stick on your sticker eyes (or draw some on). 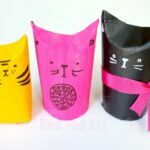 Once you get the hang of making these, I reckon each TP Roll Chicken Treat Box takes less than 2 minutes to make!! 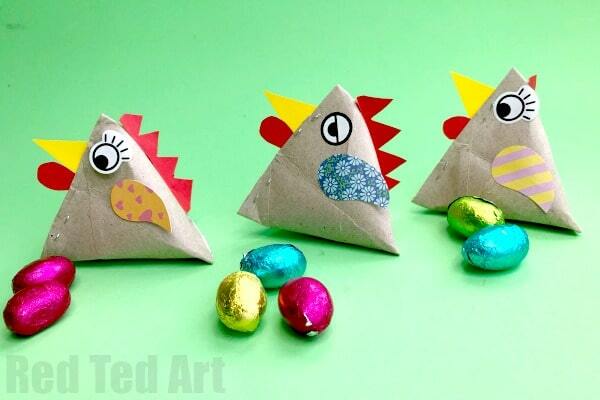 Making these great for an Easter Party, as part of an Easter Egg Hunt or as a small class room Easter treat gift!